The EZ Dri™ features an all steel handle and frame, the most durable and rigid in the industry. The reinforced frame and end fittings eliminate wobble for easy operation and quick water removal. 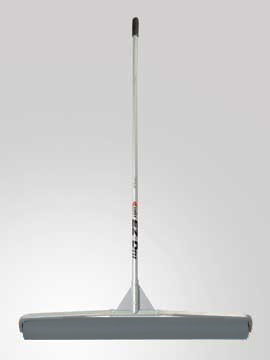 The 54” powder coated handle features a hang hook for easy storage and drying. The EZ Dri II is 3/4” thick, 36” long seamless Polyurethane with a PVC core.